The Foundation provides donations to 501c3 charities in the Greater Brandywine Valley that promote health, education and well-being of children and families. The Foundation also promotes student development and supports historical preservation and programs that benefit our men and women in the military and their families. View upcoming Foundation Sponsored Events to check out some of our valued beneficiaries. Student Community Service Award available for members of Sun East Charitable Foundation, or Sun East Federal Credit Union. To provide additional funding for organizations and charities that serve the health and well-being of children and families who are in need of financial support in the Greater Brandywine Valley Area. We manage funds responsibly and fairly so we can assist organizations that provide humane and developmental services to the citizens of our community. 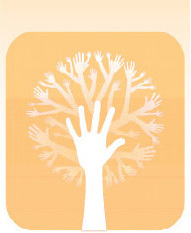 To foster collaboration and involvement in programs that build goodwill and service to the community. To help citizens without resources improve their health and well-being. All are welcome to participate or donate to the events sponsored by the Sun East Charitable Foundation. To make a contribution, you may send a check made out to “Sun East Charitable Foundation,” P.O. Box 2231, Aston, PA 19014.